‘Digital Influencers‘, ‘Youtubers‘, and online celebrities are the hot trend these days when it come to promoting brands and campaigns that offers expansive online reach in social media and different platforms on the Internet. With more than half of the population at 53+ million Filipinos getting hooked on the Internet as of 2018, digital influence is getting more relevant to millennials and an increasingly wider market both locally and worldwide. 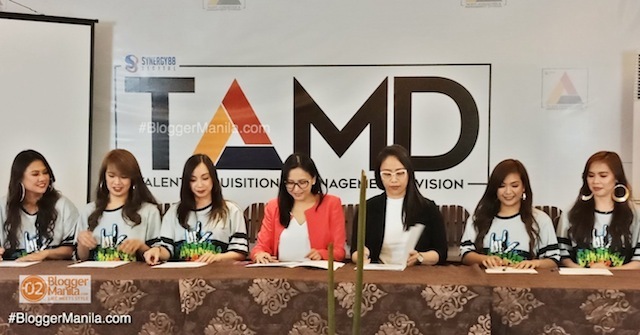 This is the potential that Philippine’s leading game development firm Synergy88 aims to tap by adding a new arm to their business model that can promote Philippine culture in the digital realm through their new division – Talent Acquisition & Management Division (TAMD)! For the unfamiliar, Synergy88 has worked on critically acclaimed games such as Microsoft Studio’s Gears of War 4 and CD Projekt Red’s The Witcher 3: Wild Hunt, among others. In a span of three years, Synergy88 became the biggest Filipino game studio in the country. And they’re also the most advanced, being the first to dabble in VR, AR, and motion capture. At this point, Managing Director and Co-founder of Synergy 88 Ms. Jackeline Chua felt the need to answer a bigger calling. “We originally started as an animation studio, subcontracting for other Asian and European studios. We then moved to creating art for video games, and eventually started creating mobile games of our own,” says Ms. Chua. With more and more Filipinos accessing Social Media and the Internet, Digital Influence is becoming more relevant! 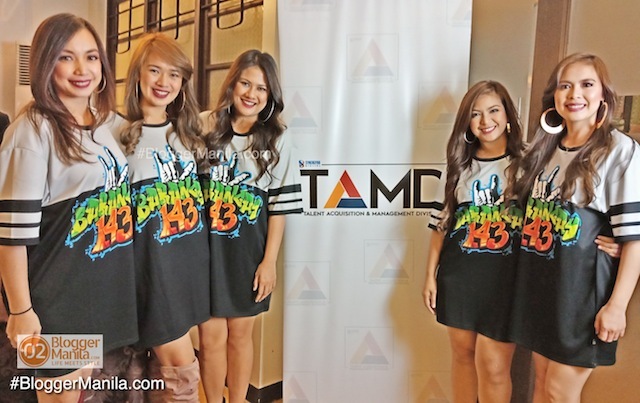 A whole slew of Filipino-themed games followed suit, from pop culture icons such as Ang Panday and Vince & Kath, to originals such as Barangay 143. As Synergy88 found success in animation and gaming, they felt the need to take their cultural advocacy one step further. From video games, Synergy 88 is now taking its storytelling to a new frontier — video streaming. 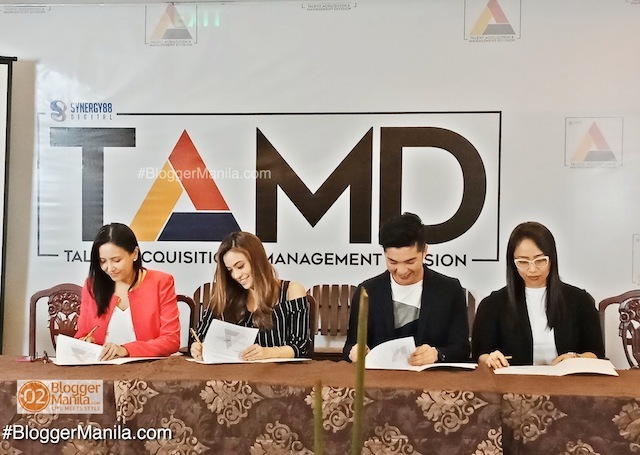 Hence, they established Talent Acquisition & Management Division (TAMD), whose goal is to tell the Filipino story primarily via digital platforms such as Youtube, Facebook, and more. 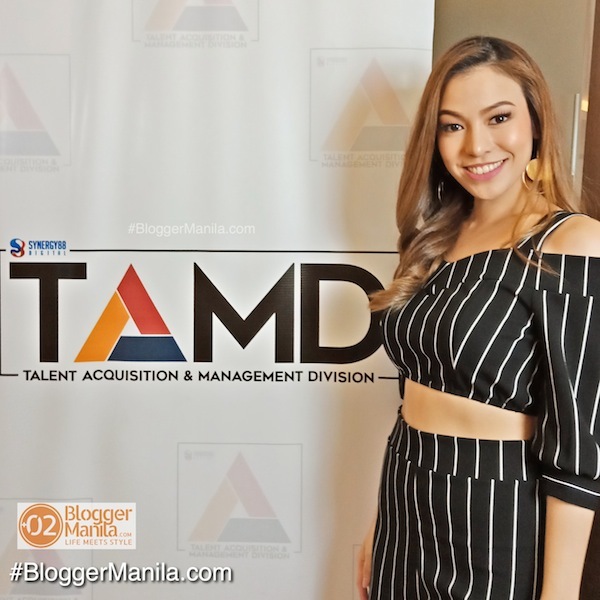 In a press conference last week, Blogger Manila personally met their 1st batch of contracted digital influencers in the personalities of Jacq Monteverde, Opi Eusebio, and a girl group called DigiSquad. 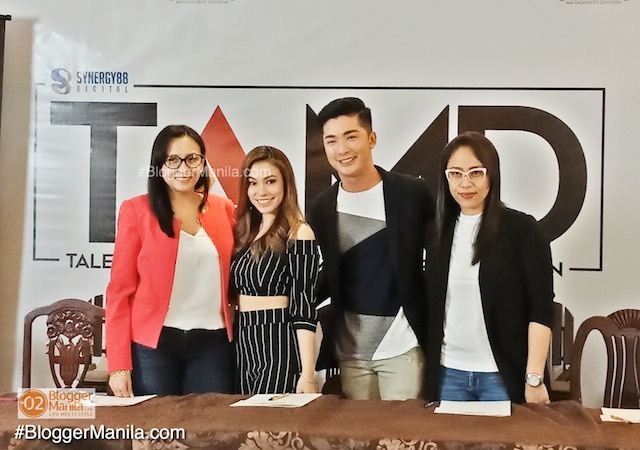 The first two have varied storytelling backgrounds; Jacq leans towards the conventional, often modeling for TV, print, and billboards for lifestyle brands, as well as appearing in a handful of ABS-CBN dramas. Opi Eusebio, on the other hand, takes a slightly different approach, taking interest in more socially charged projects such as the LGBT piece Ur_Tadhana. Together, they’re set to bring their fresh, funky takes on gaming and digital entertainment in their upcoming projects. 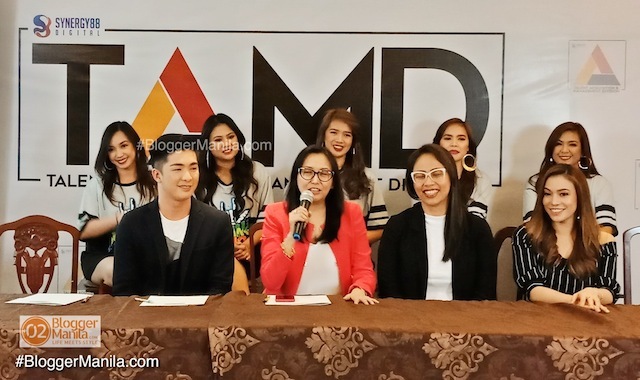 Alongside Jacq and Opi, girl group DigiSquad is also joining TAMD’s initial roster of talent. They might be familiar to you as they had their exposure as artist dancers and performers in a past local game show called Wowowee. Their familiar screen names are ‘Saicy‘ Aguila, ‘Luningning‘ Lea Carla Carlos, ‘Bea Marie‘, Chiastine Perez, ‘Mariposa‘, and ‘Milagring‘. The group has already been making waves in local gaming events and conventions, most recently in ESGS 2017. In an interview with the above-emntioned talents, they have expressed great enthusiasm and excitement in working further under the care of a professional talent management firm with could further their careers and open up more opportunities both in the offline and online world. Blogger Manila ‘Groufie’ with the DigiSquad! The complete Roster of Synergy88 TAMD Digital influencers; Opi Eusebio, Jacq Monteverde, and the DigigSquad Girls! 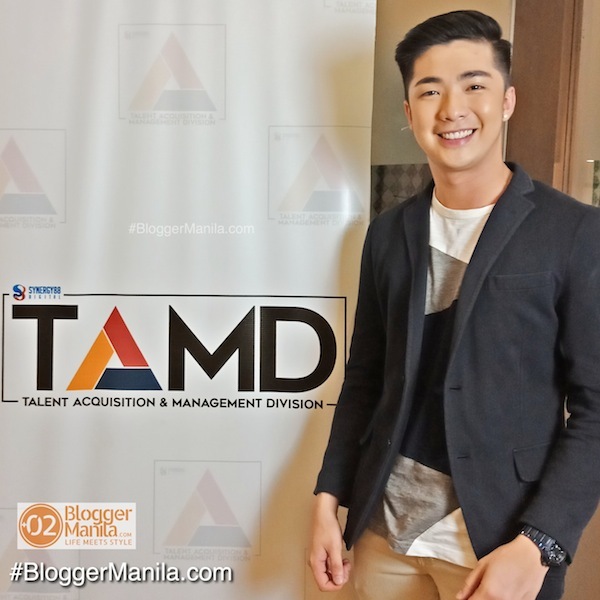 Know more about Synergy88, TAMD, and their digital talents on the website synergy88digital.com and follow @synergy88 , @synergy88digital, and @Synergy88TAMD on Facebook. Congratulations to Synergy88 and TAMD on this bold move and exploration of new digital frontiers!